Growth is generally seen by manufacturers as a good thing. But fail to plan for it or react in time and you can experience the same devastating results as if your business is in decline. Regardless of the sector, manufacturing, in general, is a constant juggling act. You will rarely hear someone from within the industry tell you that running a factory is ‘easy’, and when end customers can’t get enough of the product, stresses and strains can start to show – fast. So, what kind of challenges might a manufacturer face in a period of growth? And how can some of these pressures be overcome? 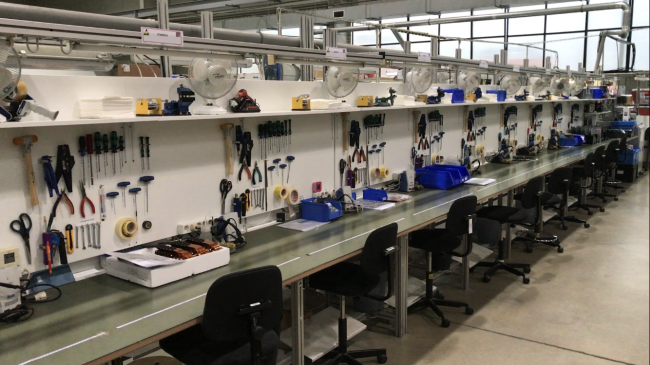 JJS Manufacturing share their experiences as we look at 7 common areas that can cause manufacturers a headache when business is booming along with some possible solutions to help ease the pain. Increases in customer demand can put extreme pressures on the supply chain. This can be particularly challenging when bespoke or ‘drawn items’ such as precision metalwork, plastic parts or printed circuit boards etc are involved. In order to control the quality of supply, it’s common for manufacturers to limit the number of key supply partners they work with. But as demands on the supply chain start to increase issues with deliveries and in some cases quality can arise. Problems further down the supply chain not only impact a manufacturer’s ability to fulfil existing orders, they can also have a negative effect when it comes to securing new business. If a supply partner is already at maximum capacity and struggling to cope with existing demand, the thought of submitting new quotations is unlikely to be an immediate priority for them. Unfortunately for the manufacturer, this can delay getting new quotes back to their customers and jeopardising new business opportunities. Communication is therefore key. Where possible, manufacturers should look to share demand forecasts with their supply partners. Holding regular business reviews to discuss fluctuations in demand (both up and down) can also help make sure that any potential disruptions to the supply chain are mitigated. In extreme cases, the manufacture may have to provide suppliers with priority lists to enable them to deliver the most urgent (or disruptive) items first. This is far from ideal but it can help focus short term attention in the right direction, particularly if some of the orders are for stock as opposed to firm customer demand. Manufacturers must regularly audit their suppliers and the capabilities and capacity they have to offer. Where are the gaps and how much of a risk do these present? Can they offer us what we need both now and in the future? If not, perhaps it’s time to start looking at alternative options? This can be an issue for manufacturers when demand for one particular service or ‘capability’ suddenly increases, stripping their internal resources. Machine builders, for example, rely on having highly skilled time-served panel wiring staff in place. But if demand for this resource suddenly increases without prior notice the manufacturer will struggle to recruit additional labour and therefore react in time. In this instance the manufacturer will probably need to look externally and hire in temporary labour through specialist agencies to fulfil their contracts. Not only is this an expensive solution, finding highly skilled time served staff is extremely difficult in the current climate and can take time. Again, close communication with the customer and forward planning can help. If the customer cannot wait the revised lead-time and the manufacturer has to resort to short-term external labour, a discussion between both parties about the additional costs incurred will need to take place. Manufacturing equipment and tooling can be expensive so decisions on what to invest in and when need careful consideration. Manufacturers must constantly review which equipment they need in order to maintain their own productivity levels but also what equipment they will need in the future to meet the demands of their customers. Holding regular technology review meetings can be a useful way of understanding more about the end customers’ strategy and how this might impact new products. Gaining this level of insight isn’t always easy, particularly if there are concerns around Intellectual Property, but if manufacturers are able to access this information it can be extremely beneficial in the long term. Attracting and then retaining talent is an on-going challenge for manufacturers. Whilst greater exposure and insight is helping to slowly eradicate the outdated negative perceptions of manufacturing, finding the right people at the right times can be tough. Now more than ever it’s important for manufacturers to consider the options to ‘grow’ their own talent. Apprenticeships, placement schemes and graduate opportunities can all help but the results won’t be seen immediately. These types of training and development schemes can take anywhere between 2-5 years before staff are fully functional which is a big commitment for the manufacturer and needs careful planning and progress monitoring. When a manufacturer starts to outgrow their own facility they usually have a few options – expand what they have, invest in more/something new or take a look at what they are doing internally to see if there’s a more efficient way. There are pros and cons to each, the key question to try and answer is what will our customers expect from us in the next xyz years? Implementing flexible workstations and production cells that can be quickly reconfigured for different jobs is a common tactic to free up more space. And for more repeat or ‘stable’ demand, lean production lines can be an efficient use of space but are often ‘fixed’ so a little harder to move around. If you decide that certain tasks or processes add very little value to your business or the end customer, then outsourcing certain elements of the operation can free up vast amounts of space. Being really clear on your core activities and then implementing proven strategies such as outsourcing to allow you more time and space to focus on the parts of your business your customers care about is critical. Ironically, for many Original Equipment Manufacturers (OEMs), the processes of building, testing and shipping a product aren’t really core activities when compared to new product design, marketing and sales. So what are your core activities? And how much factory space would you really need if you were able to focus one hundred percent on them? Manufacturers are often expected to be able to ‘flex’ their capacity with customers demand. Thankfully, when product ranges and customer bases are diverse, when one product or customer is ‘up’, typically, another will be ‘down’. They will also tend to work with across a range of different purchasing agreements. For example, some orders will be fixed and firm to an agreed schedule providing long term visibility whereas others will be based on a service level agreement (SLA) with product ‘called off’ when required. Planning can become a challenge for manufacturers when they don’t have forward visibility of customer demand. In addition, ‘urgent’ customer demands and/or revision changes have to be supported which means it is a constant juggling act for them to manage. It’s important that the sales/customer service team have regular business review meetings with the customer in order to provide as much forward visibility as they can to the planning team. It’s also important that the planning team don’t commit all of their resources and retain an ability to ‘flex’ when unknown demands present themselves. As a manufacturer grows it’s important that the commercial teams balance taking on opportunities from existing customers as well as brand new ones. A good starting question for the team to ask when presented with any new opportunities is ‘why us and why now’? With a finite amount of quote resource available it’s vital the manufacturer focusses their attention in the right areas and in order to do so, they need to be clear on what an ‘ideal’ customer looks like and what a ‘good’ piece of business really is. Creating customer persona documents can really help the commercial team visualise this which in turn can help qualify in (or out) new opportunities quickly. And if you’re struggling to define what an ideal customer might look like, write down all the reasons why you wouldn’t trade with someone and then turn each of the negatives into a positive! 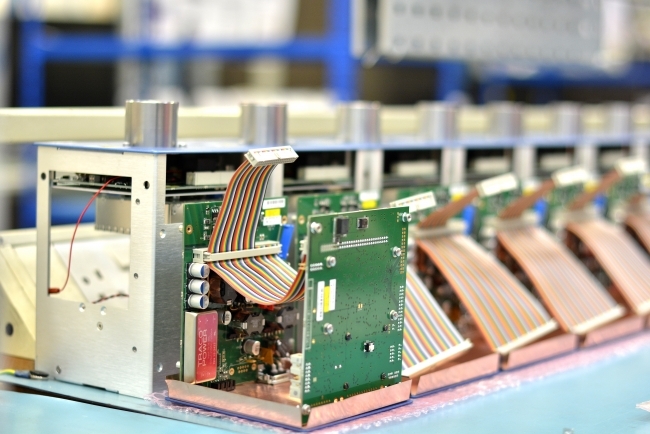 As an Electronics Manufacturing Services (EMS) provider, JJS Manufacturing Ltd has over 34 years’ experience supporting industrial OEMs grow their business. This has been achieved by the OEM outsourcing certain ‘non-core’ activities of their complex products and machines to JJS including material procurement, assembly, test and logistics. Free from these distractions, OEMs can then focus on what really adds value to the business and their customers – designing new products, marketing, sales and after service support.